Sumpter McGowin practices in the area of business and transactions with a focus on taxation, corporate law, health care and estate planning. He is experienced in advising companies and their principals at all points of the business life cycle from formation of entities and negotiation of organizational documents among principals to the acquisition and disposition of whole companies. He frequently advises physicians and other health care entities with respect to matters unique to the life of those businesses such as physician employment agreements, practice organization and capital structure, joint ventures, regulatory compliance, and tax planning, and frequently consults with families and individuals with respect to their estate planning. 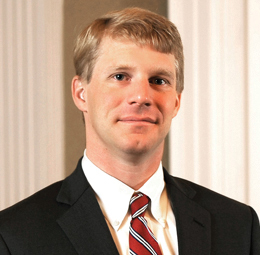 Prior to joining Phelps Dunbar, Mr. McGowin practiced corporate and transactional law as well as health care law in Tennessee. Rollup acquisition of multiple dental practices, including development of employment arrangement for associate dentists, associated real estate leasing and acquisition transactions. Tax-deferred exchange of industrial real property in the District of Columbia valued at approximately $20 million. Develop and implement comprehensive estate plan for high net worth individual with focus on limiting estate tax liability. Advise with respect to tax aspects of formation and operation of charitable foundations, including compliance with rules under s501(c)(3). Negotiation of purchase of regional trucking company headquartered in Memphis, Tennessee. Formation and negotiation of investment vehicle entities with complex capital structures including tiered payout mechanisms for investors and managers. Development and implementation of medical practice joint venture with ambulatory surgery center. Formation of satellite office of regional commercial property appraisal firm and negotiation of partnership between franchisee and the principal of such satellite office.